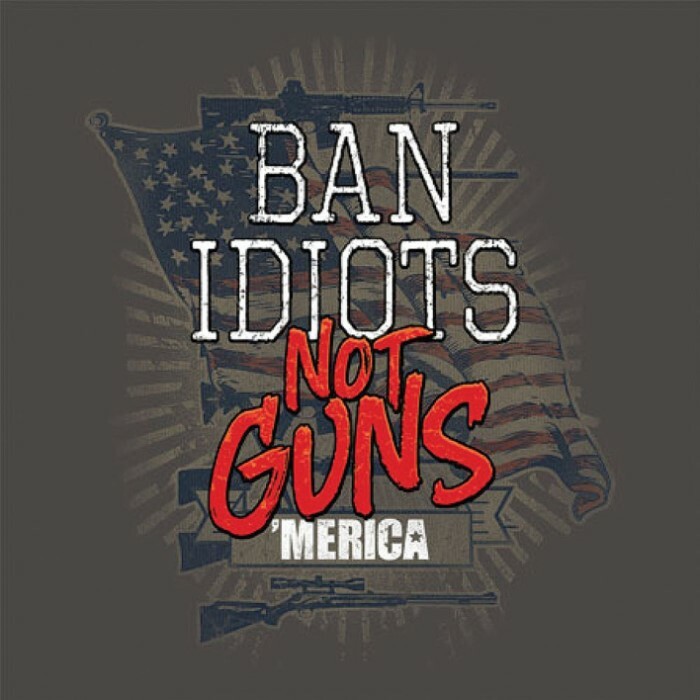 Buckwear Ban Idiots Not Guns Charcoal T-Shirt | BUDK.com - Knives & Swords At The Lowest Prices! 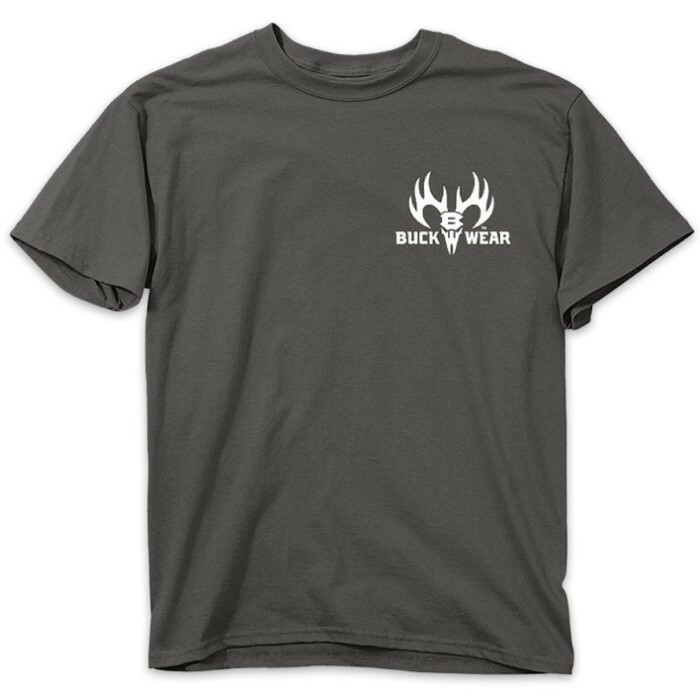 When you go out to the range, you need to be wearing the right apparel and nothing fits better or is more appropriate then our heavyweight 6 oz., 100% cotton tee. Cut for ultimate comfort and maximum maneuverability, this charcoal T-shirt has a double stitched seamless collar and a taped neck and shoulders. 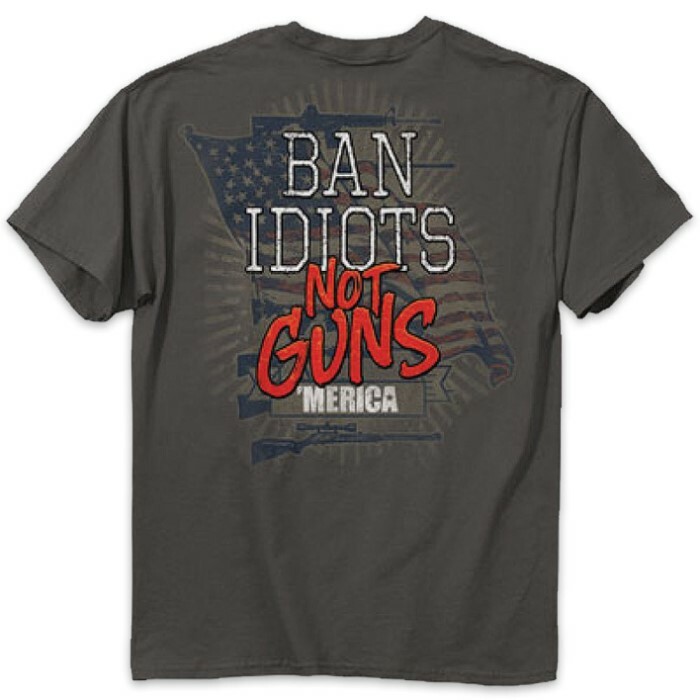 It also has short set-in sleeves and a two needle hem around the sleeves and bottom but the best thing about it is the message that advertises, “Ban Idiots Not Guns”. The shirt’s design is done in a high quality screen printed artwork that will withstand hundreds of washes. It comes in LRG, 1XL and 2XL. What better way to show how you stand on gun control? This is another good quality statement t-shirt.